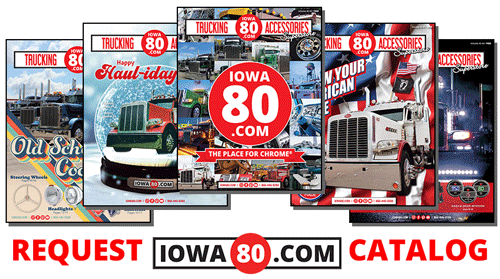 In the early 1960’s, Bill Moon’s job was to site and build truckstops on the new interstate system for Standard Oil. 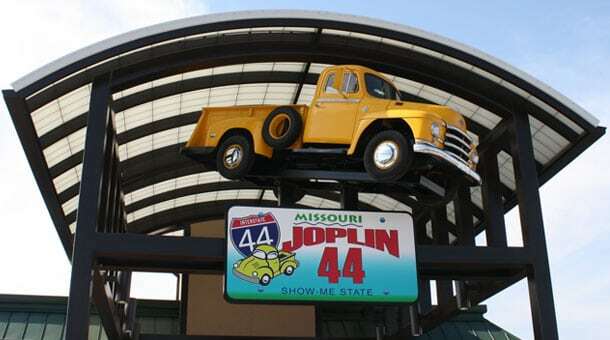 He had a dream to put a truckstop on Interstate 44, Exit 4, where the Joplin 44 currently resides. Standard Oil did not agree with his proposal and built across the street. Over the years, Bill still dreamt about this land and still believed it was a perfect site. The Joplin area was important to Bill since his father’s family had grown up there and he had spent many vacations visiting relatives in Joplin. 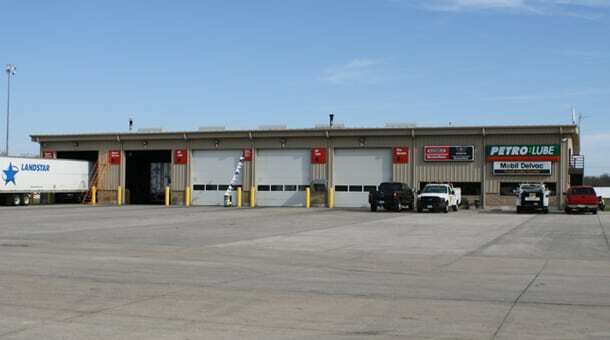 Acting on his dream, Bill and Carolyn Moon started purchasing sections of land in Joplin in the late 1960’s and by the mid 1980’s, had purchased about 30 acres at exit 4. The 20-year dream started to come together with plans to build a full service truckstop on I-44, Exit 4, from the ground up. During the planning process, Bill decided to brand this truckstop as a Petro Stopping Center. At the time, Petro was just starting to franchise and The Joplin 44 became one of the first Petro franchise locations. During the construction, many of Bill Moon’s industry peers thought building such a big location and franchising with Petro was a risky venture. During the construction, Bill and Carolyn had a great time getting reacquainted with Joplin and chasing the elusive Spook Light. The Spook Light is a mysterious light that appears around the Joplin area. “When we were building Joplin 44, we met new people every day. Toward the end of every conversation my dad would ask about the Spook Light and where we could see it. Then, nearly every night we would chart a new course through the back roads and wait for it. Really, the spookiest thing was being on a very dark gravel road with our car’s low fuel light on!” Delia Moon Meier, Bill Moon’s daughter, remembers. They must be right because over the years, The Joplin 44 has served many repeat customers and has many long term employees, two have been here since opening day. “It was very exciting to finally complete construction and open the doors to our first customers. I had a lot of anticipation for the day and was even losing sleep. Once the day came, it was over before we knew it”, says Joel Hamilton, General Manager, remembering opening day. We have not been standing still, there have been eight expansions and remodels to The Joplin 44. The biggest expansion was building a Sleep Inn hotel in 1994. 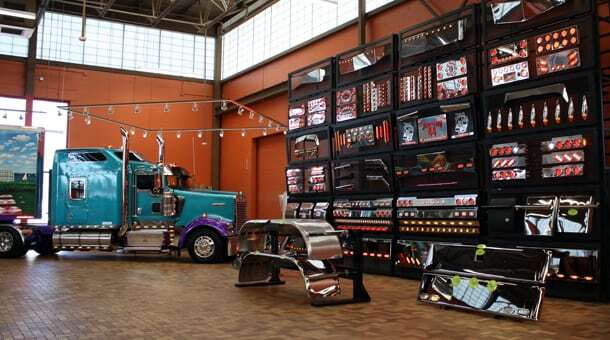 In 2010, the Joplin 44 is expanding again with a 15,000 square foot Super Truck Showroom that features two semi trucks, an elevator, an entire light wall and thousands of chrome accessories. Taco Bell/Pizza Hut Express, a custom vinyl and embroidery shop, new restroom facilities and much more were also added. In 2013, Caribou Coffee was added to our food court. In 2014, Dairy Queen/Orange Julius was added to the food court. Visit The Joplin 44, We’re Always Building For You!